The Thing About Jellyfish meets The Kind of Friends We Used to Be in this sweet, honest middle grade debut. 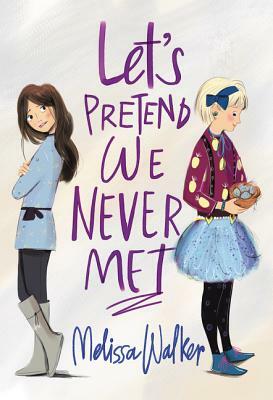 Only it isn’t, because when vacation ends and school starts, Mattie realizes something: At school Agnes is known as the weird girl who no one likes. All Mattie wants is to fit in (okay, and maybe be a little popular too), but is that worth ending her friendship with Agnes? Melissa Walker grew up in Chapel Hill, North Carolina, and is the author of eight young adult novels, including the Violet on the Runway series and Small Town Sinners. In the nonfiction world, she is a magazine editor and writer who works from the comfort of coffee shops in Brooklyn, where she lives with her husband and two young daughters. Find Melissa on Twitter @melissacwalker or visit www.melissacwalker.com.